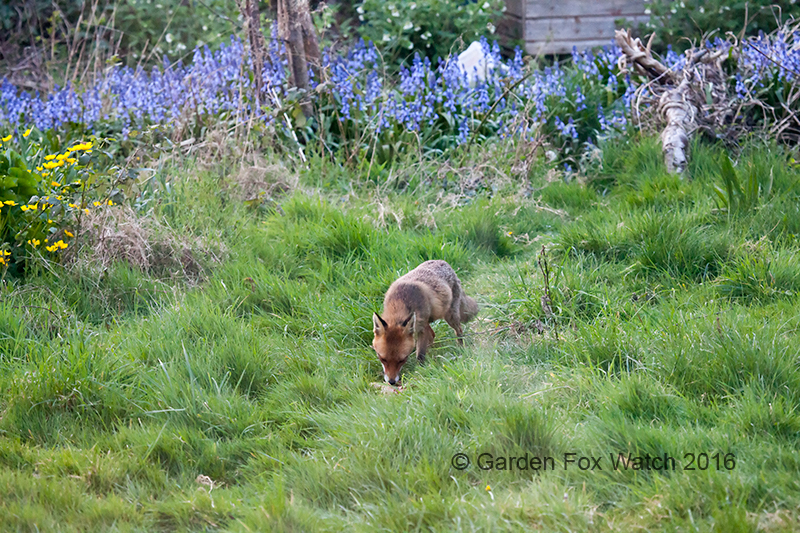 Why yes, it has been a while, hasn’t it? 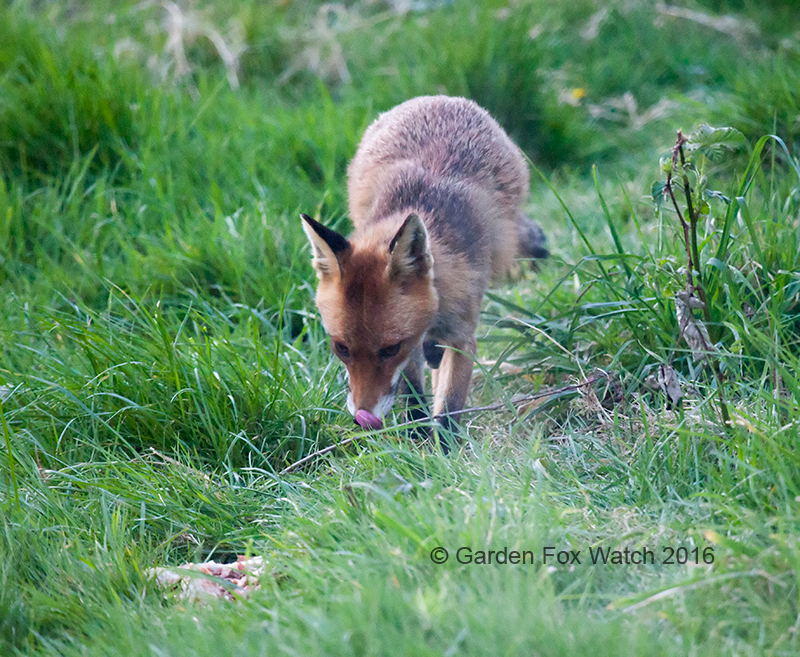 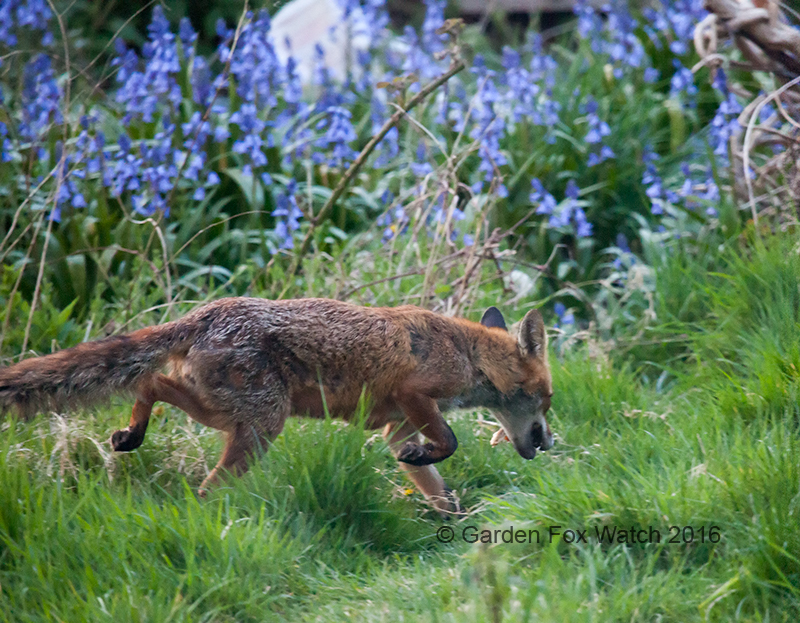 We don’t know whether we have foxes living in our garden at the moment, but we certainly have regular visitors; see below. 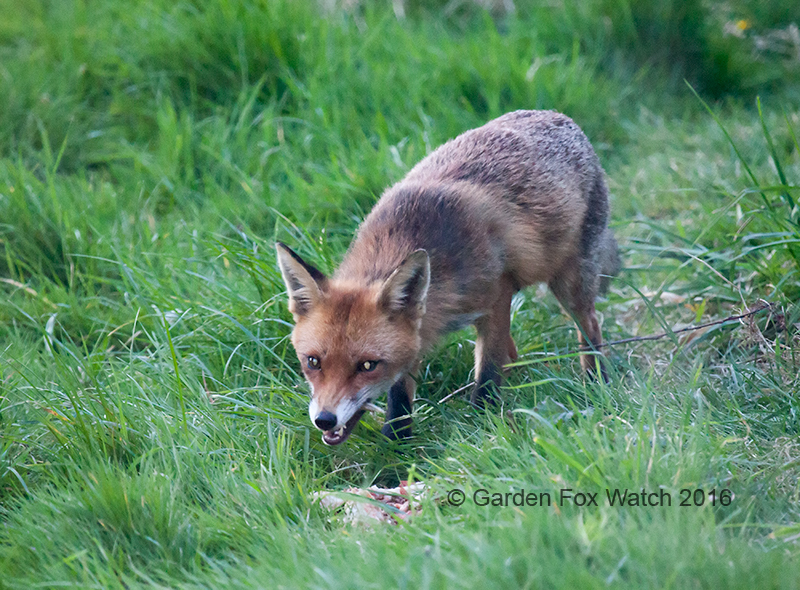 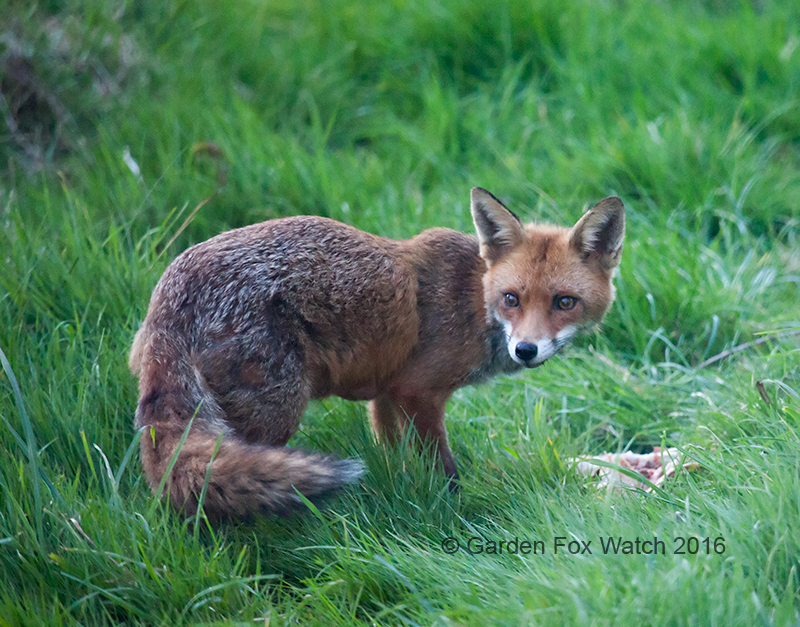 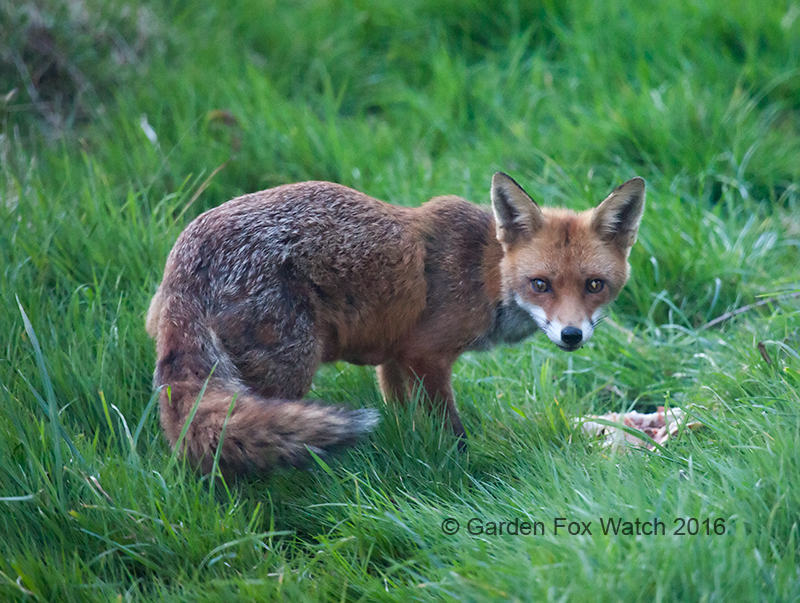 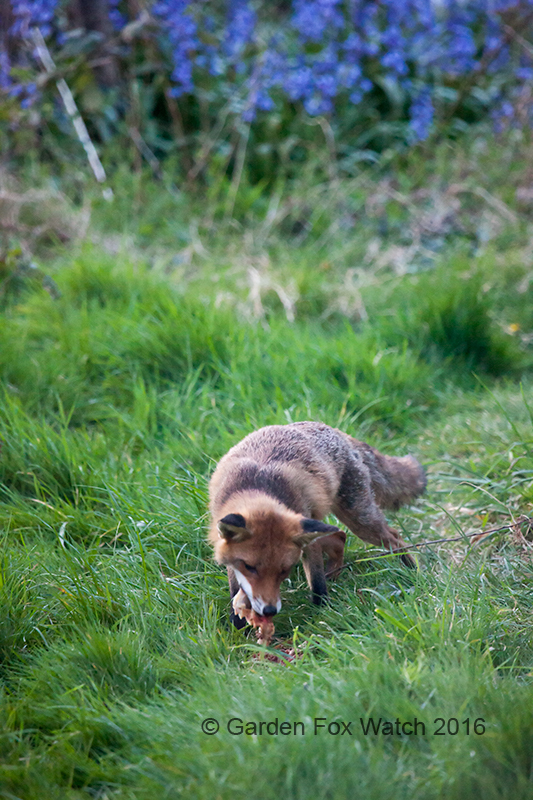 (The first evening with decent light, the camera at hand, and a fox who decided to turn up in a while.) 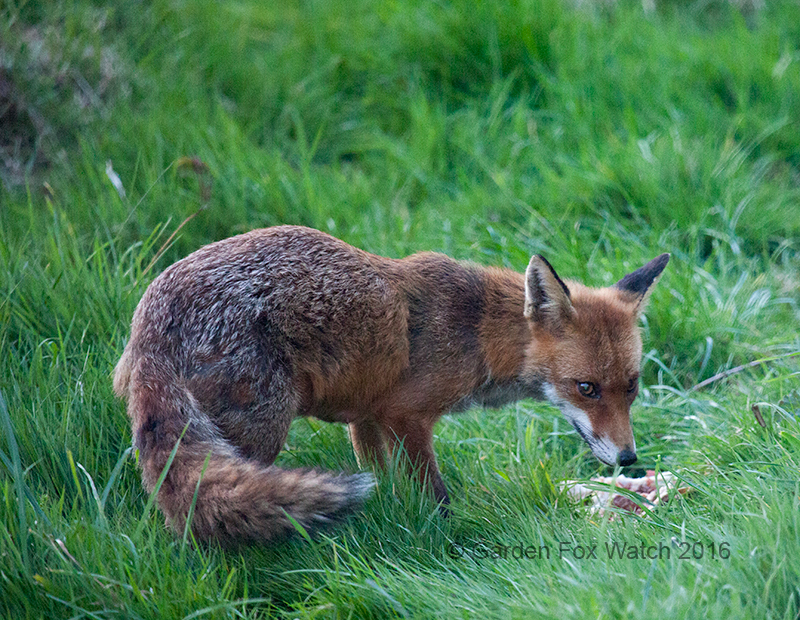 This one was certainly keen on the rather elderly roast chicken that we’d decided to recycle by leaving it out for them. 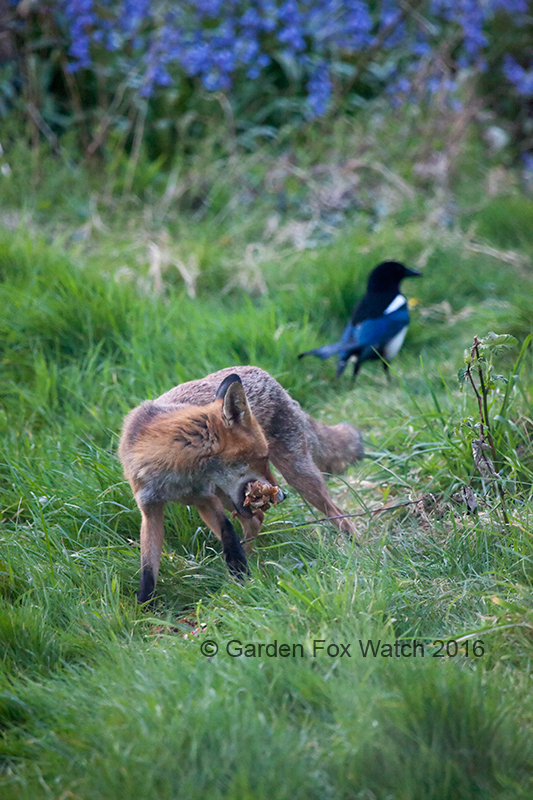 Mind you, so were the local magpies! 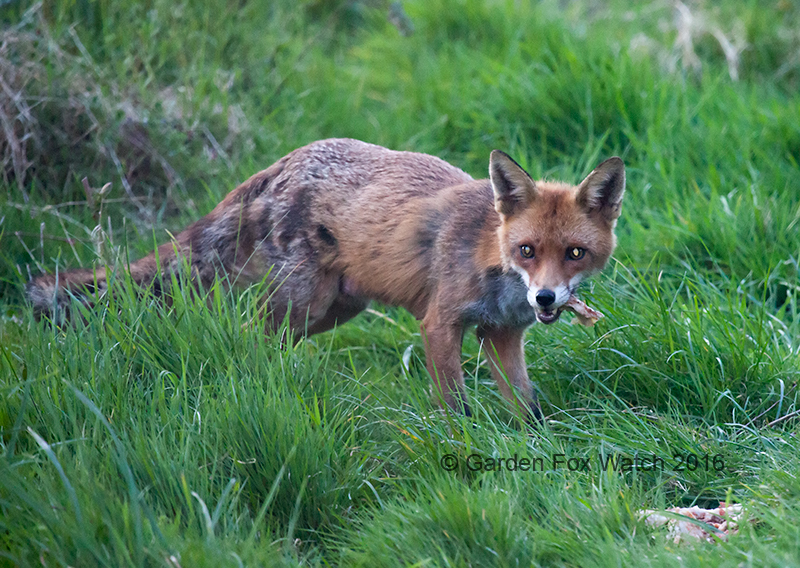 Hoping we might see some cubs in the next few weeks, although it is a bit early yet, I think.